As per the promise I have made in “Some basics about Index in SQL Server” article, I am coming up with each Indexes of SQL Server and first and most important is “Clustered Index”. As I told in previous article too that Index is the key of performance, good and managed Index could boost up your speed of retrieving of data from table. Clustered Index contains actual data of the table in leaf level pages in logically sorted order (to understand root and leaf level page, click here). Since it is logically sorted, it doesn’t need to go for all data present there in Index. For example if you are looking for the phone number of “Ritesh Shah” in telephone directory, you can move to a page which has phone number of the person whose first name starts with “RI” and once all instance of “RI” over in directory, you don’t need to move on as there is NO CHANCE, you will get “Ritesh” anywhere in directory except those particular pages. BTW, if you don’t have clustered index on your table, than your table would be called “HEAP”, which wouldn’t not have logically sorted data so if you are searching for “Ritesh Shah”, you can to check complete table as you never know, where you will find “Ritesh Shah”, just one method, go each and every row of table and check for matching criteria. Like any other columns, you can define clustered index in more than one field too and all the columns covered up under the index, called key column. --> You key column or combination of key columns should be unique and not null. 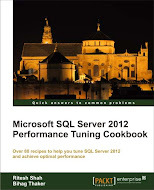 If your You key column or combination of key columns are not unique than SQL Server has to add one more hidden column of 4-byte INT to make it unique. However, you can’t see that hidden column neither can query it directly; it would be purely for SQL Server’s internal use. --> It should be short as wide key value would increase the depth of Clustered Index and will reduce the performance a bit and also increase the size of non-clustered index as it is being there as a reference in all non-clustered index. --> Select less changing or no changing fields for you clustered index as Key value indicates the location of page where actual data resides, if you change this key value, row has to be deleted from that page and has to move to another appropriate page which reduces the performance and increase unnecessary overhead to IO. 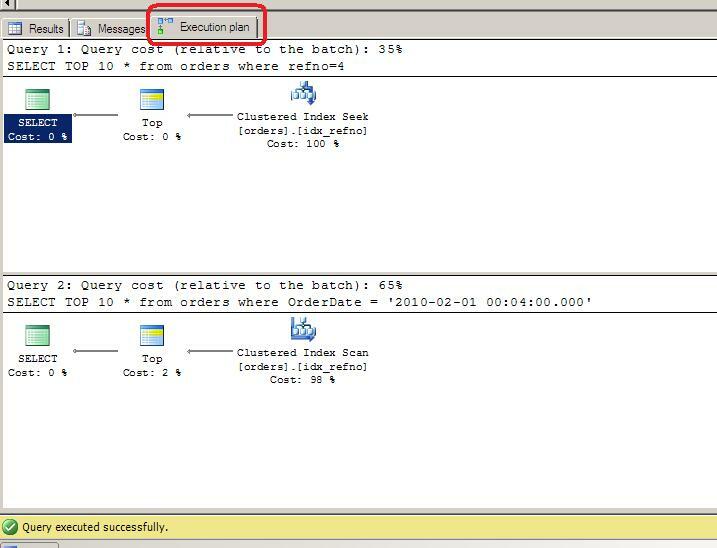 Generally whenever you make Primary Key in any of your table, SQL Server itself create clustered index on it but if you want to keep clustered index on any other column(s) due to high selectivity on those column(s), you can do it. Have you got bored of so long theory? Let us do some practical and check it out? --if orders table is already there. 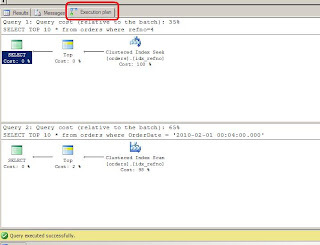 you can delete it than create new one with name "Orders"
If you execute both the query with “Actual Execution Plan”, you will see first query is having Index Seek and second query is having Index Scan. Seek and Scan is really interesting topic which I will cover later but just keep in mind that, Seek is good, Scan is bad as it will check all records of the index.